SCRAPPING NOMAD: Color challenge, let's play!!! I have been telling you to pay attention to some colours this month, as I had big news for you and those colours were part of it. Well, I can share the news with you, now! Aren't these colours just fabulous? They make me want to craft right here, right now. 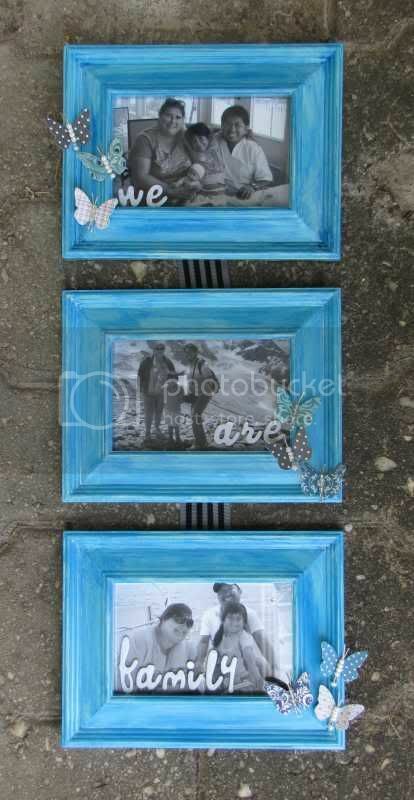 And so I altered some dollar store frames and made them into a lovely piece for my photo wall. Very simple project. 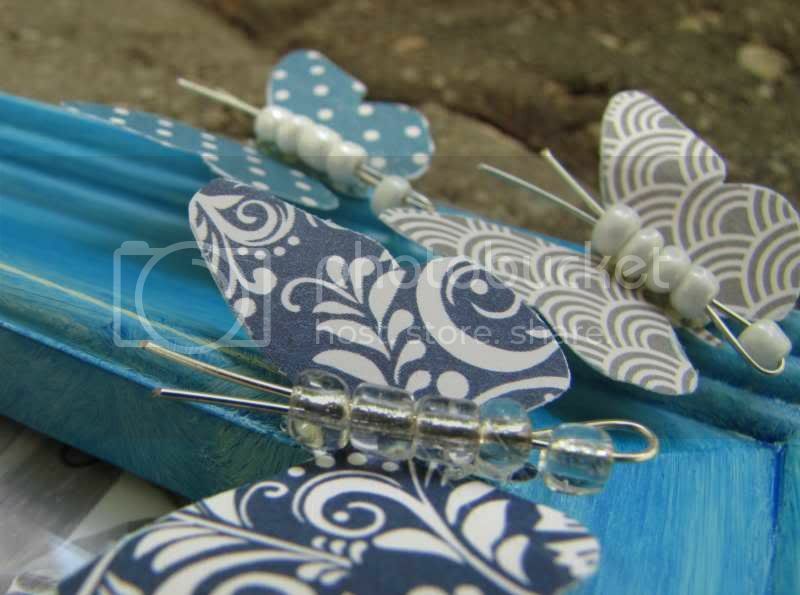 I just dyed the frames, added the photos and stickers, and created some beautiful butterflies from patterned paper, wire and beads. I am all for very easy projects at the moment, as life has become so busy this year, so a pretty project I can finish in less than an hour and hang from my wall is a big accomplishment!!! How to Participate: Join us in The Art Studio's Challenge Group. You must register on our site to submit your artwork (remember your SNR username won't work for this site, you will need to register at The Art Studio if you haven't - it's free!). Please feel free to leave love and praise for others while you're there. The Prize: Faber-Castell goodies, including gelatos, watercolor pencils and other mixed media items. The Fine Print: All entries must be submitted by Sunday, November 11, 2012. You must have your name (or username ) clearly visible so we can contact you for more information. Please note that any prizes not claimed within 30 days will go to another randomly selected artists. Please Note: If it doesn't allow you to upload to the challenge's album (some browsers have restrictions), then please feel free to start your own album. You can add as many as you like. Just have fun, create and let us see! We have a wonderful variety of classes available at The Art Studio @ Scrapbook News and Review. Many of which were suggested by our subscribers and fans. Now we want to know what you want. Yes, you! Tell us what classes you would like to see us schedule in 2013. Anything and everything. Big or small. Simple or complex. Whatever you want to learn or do, let us know and we'll make it happen. To thank you for your suggestions, we're offering up a $100 gift certificate to your favorite online paper crafting store. How do you play? Easy...there are three ways you can do it...you can do one or you can do them all. Everyone must e-mail us at games@scrapbooknewsandreview.com to be eligible for the contest. Then, if you like, you can post on the Art Studio's blog or you can post on their Facebook page. The contest will run until Sunday, November 11, 2012 and a winner will be notified within 72 hours. Since it's running for a few days, up your chances by posting every time you think of something you would like to attend a class for. You can continue to post on our blog or Facebook page, but remember, you must send one e-mail to the above e-mail address. If you're randomly chosen from another source, such as the blog or the Facebook page and you don't have an e-mail in our e-mail box, then you'll be disqualified. So that's it. Tell us what you want and we'll make one lucky winner a happy girl (or guy)!